Monika is a Solicitor-Advocate in our International Arbitration Group. She has experience in both investment and commercial arbitrations and has represented investors as well as governments, in disputes under the UNCITRAL, ICSID, ICC and the LCIA Rules. She has advised clients in the oil and gas, mining, telecommunications and general industries sectors. Monika's practice includes advising on issues of public international law, including on the firm's pro-bono mandates. 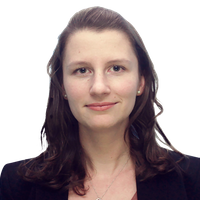 Monika has previously spent time in our Singapore and Paris offices. She is fluent in English, Slovak and Czech, and has a working knowledge of Spanish. Green light for summary awards in ICC arbitrations?